Purchase now with a 1 time payment! About the Eco Baby Cert. Login to Diverse Families Cert. What is in the Kickstarter? We know that there are some aspects to starting your business that can feel overwhelming! We get asked all the time about what should you talk about in prenatal appointments or what is included in a doula contract. 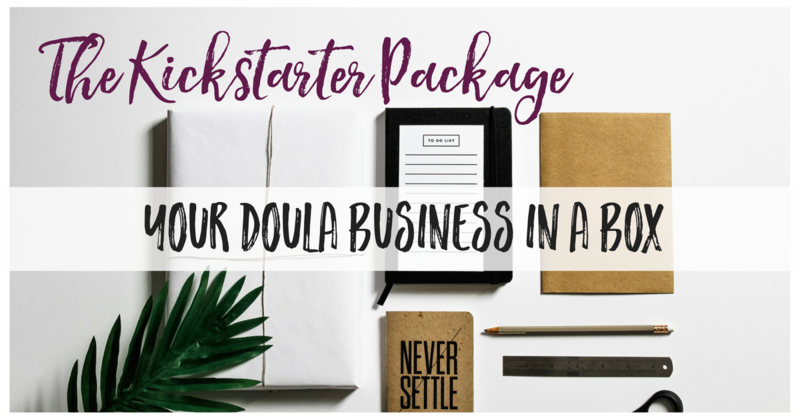 We have gathered all the documents that you will need to run your doula business and we have put them together so that you have one less thing to worry about. All the documents are digital, unbranded and editable so you can tweak them to reflect you, your business and your brand. ↣ Contracts for birth doula, sleep educator, postpartum doula & fertility doula – any contract can be edited for other services you may offer! ↣ Prenatal appointment binders for doula (more data) and for parents – including checklists for clients! Alumni of our programs receive 20% off their package! Don’t forget to use your discount code. **This is a digital product with digital and fully customizable files. You will get all of this for only $239*! Get your Kickstarter Package today!